A good day to start with a healthy breakfast for your power all day long. 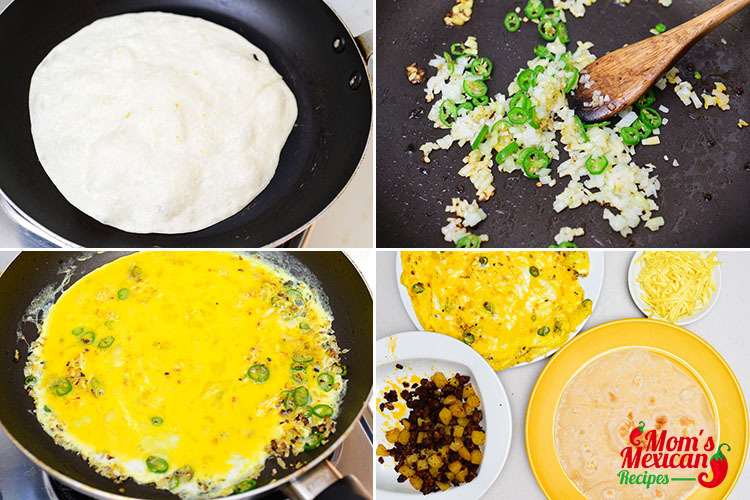 Most of us surely don’t have time to cook breakfast during weekdays. It is because of we always in a hurry to go to work or bring the kids to school. It’s easy for us to especially the grownups to let breakfast fall last on our list of priorities, but taking just a few minutes to have something to eat can really make a difference to our day. For kids and teens who eat breakfast have more energy and do better in school. Breakfast is a very important meal. It provides many benefits to our health and wellbeing. 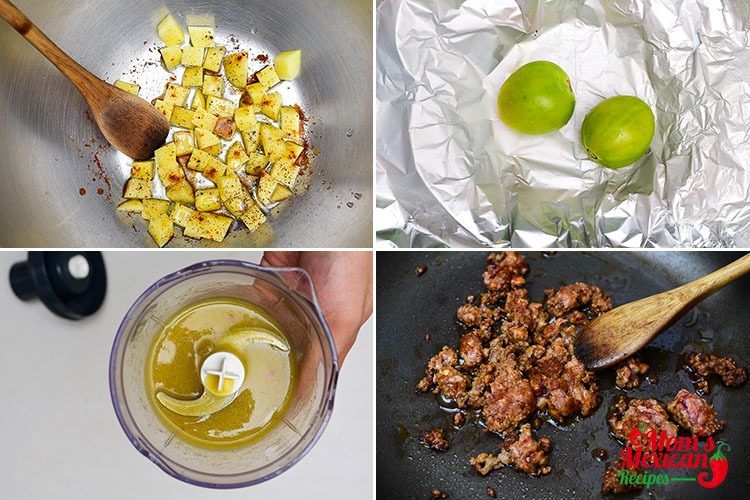 Toss the potato in olive oil, salt, pepper, and chili powder. Roast the tomatillos for 10-15 minutes at 400F. Blend roasted tomatillos, chipotle, and garlic. Sautee chorizo for 3-5 minutes per side in a skillet. Set aside. In the same skillet, saute onions and jalapeños. Whisk in the eggs. 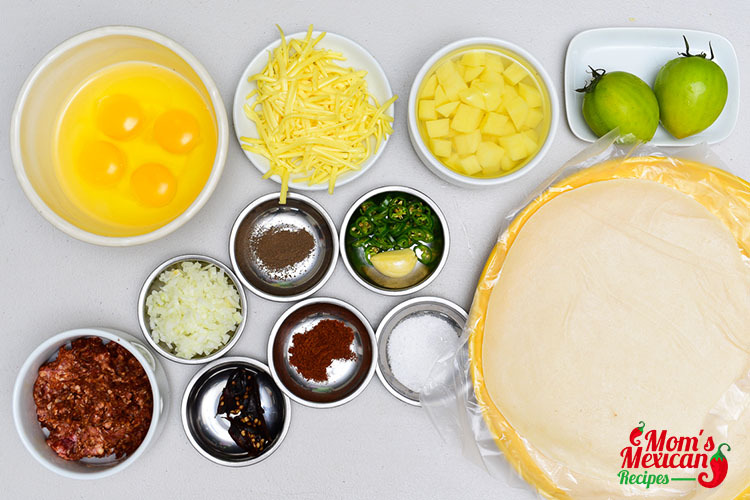 Heat up a tortilla for 30-60 seconds in a skillet. Stuff with potatoes, eggs, and chorizo. Roll tight and toast in a skillet until edges are crisp. Having no time to cook and to eat before leaving the house, we have lots of simple and easy to prepare that you can found on the Internet. 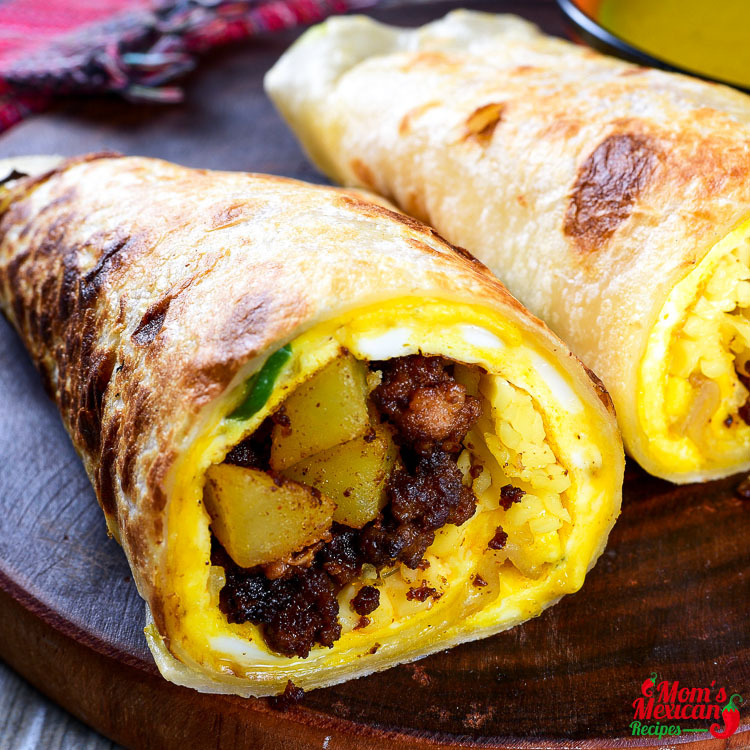 One of the recipes is Chorizo Breakfast Burritos, filled with Spicy Chorizo, Scrambled Eggs, cheese, and salsa, all wrapped in burritos and roll tightly. It tastes great, take a very little time to make and can be eaten on-the-go or when you get to work or kids went to school. 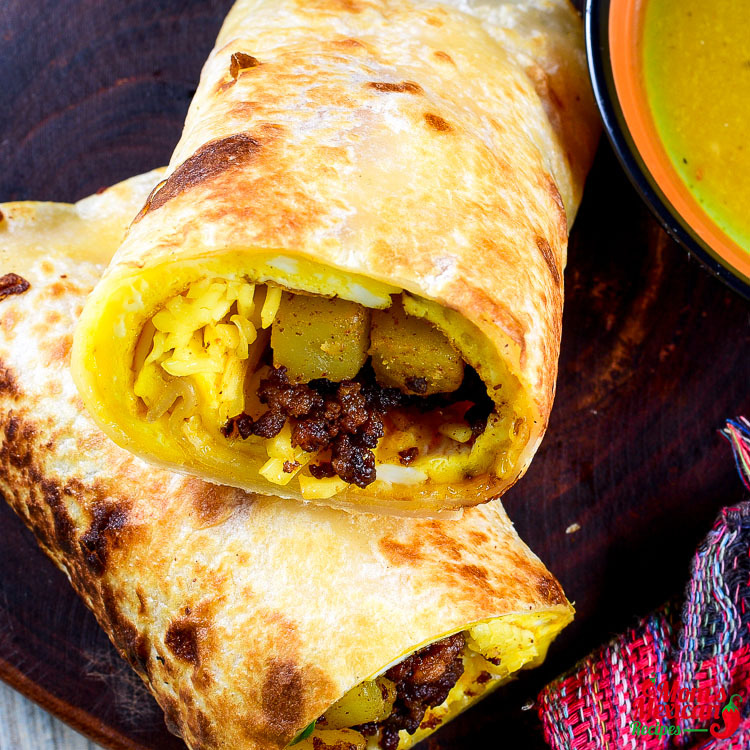 It is also hearty and comforting, the perfect breakfast or Brunch break Burritos. Chorizo is one of the ingredients, it is a type of pork sausage, and made with pork mince and pork fat, seasoned with garlic and paprika, all stuffed in a natural casing made from pig guts (small and large intestine). It is added as ingredients to add flavor to other dishes or as a partial replacement for minced pork or beef. You can add some Guacamole as one of the fillings and shake a little Tabasco Sauce over the Burrito before rolling up. You can also serve the fillings in separate bowls and let your family and friends make up their own. 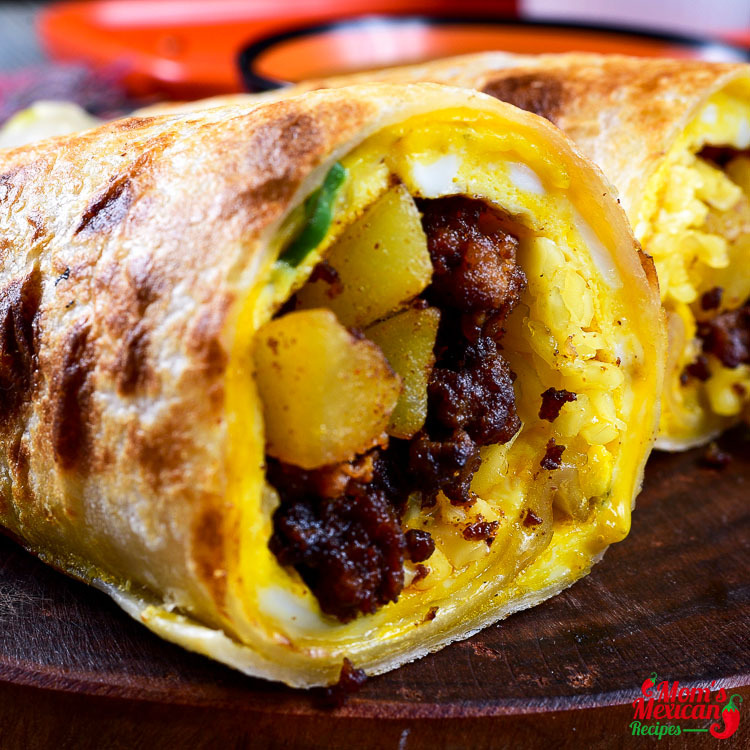 This dish tastes sensational so much that your family will be only too happy to have it again.